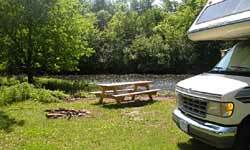 The Apple River Family Campground is a year round family focused pet friendly campground. 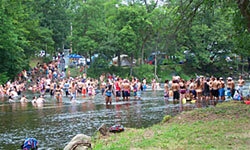 The Campground sits on 60 heavily wooded acres with over 1/2 mile of River Frontage along the beautiful Apple River. We offer campsites that cater to all types of campers. 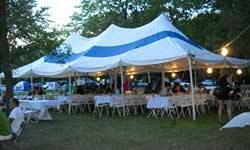 Our sites accommodate tents to big rig pull throughs with water and electric hookups available. We also have heated/air conditioned Cabins for those looking to camp in style! We are a family focused campground with campsites for every type of camper, ranging from rustic tenting to larger RV’s. We feature the most beautiful campsites on the Apple River; including scenic bluffs, secluded or open tent sites, tranquil riverside areas, and big rig pull-through. Families are certain to find their ideal camping experience and make memories for a lifetime. The campground is a great place to hold events like graduation parties, weddings, family & school reunions, and corporate events. There are staff on site to aid in planning and large groups always receive camping discounts. For weekday discount rates please call 715-247-3600. Some exclusions may apply. Since 1856, Star Prairie’s ice-cold spring water has provided an ideal natural habitat for commercial trout-raising. Fifteen hundred gallons per minute of flow at a steady rate and temperature provide open water and continuous growth and harvests year-round. QuickFire is the only legitimately waterproof fire starter on the market. It is individually packaged in natural pressed oil, allowing you to light it using the corner of the pouch as a wick regardless of conditions. When you choose Interstate alkaline batteries, you can count on the long-lasting battery performance you need. In recent tests, Interstate Batteries AA, AAA, C, D and 9V alkaline batteries performed as well or better than the two leading US alkaline brands. * Trust Interstate alkaline batteries for proven and dependable quality and your local Interstate.